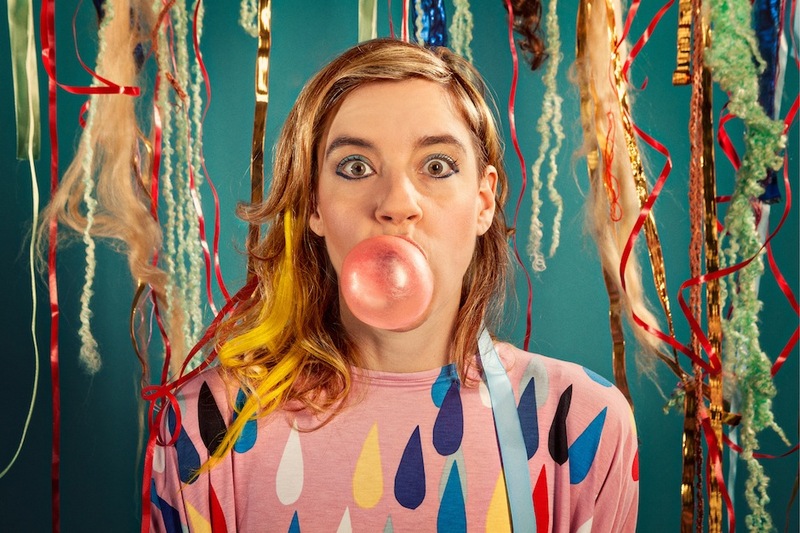 In the second post of what disappointingly appears to be a regular series, where we find out about the people behind one of the top modern bands in the pop charts, we look at the popular beat combo tUnE-yArDs. 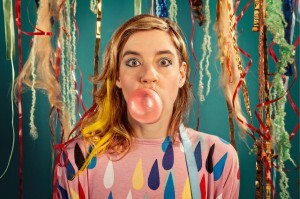 Brooklyn-based team Tune-Yards (usually stylised as “tUnE-yArDs”) come from Brooklyn, an area of New York, and started their career playing music in Brooklyn USA. They were founded by Prunella Squitzelberger (pictured above) who performs lead vocals and effects a sort of improvised skiffle percussion using bubble gum. The band’s first album was a particularly sparse affair, featuring only the sound of chewing, inflating and popping, interspersed with spoken word recitals of Squitzelberger’s own abstract poetry, but with the addition of Dupe Kingsnorth on bass and cello the act has become much more lively. The band’s current album, “Nikki Nack”, is their third, and to date their most successful, quickly outselling 2006’s “Chewniverse” and 2010’s impenetrable effort “Doctor McCluskey’s Casebook”. It has gained plenty of airplay on radio stations across the Brooklyn, NY area, where the band is from, and has all the signs of being part of the elusive “Brooklyn Sound” that is proving so popular there. The power behind the throne is, of course, DJ and producer Nizzle, whose cool electronic beats and occasional rhythm-free blasts of overpowering white noise lend the latest album a cool chic and an unmistakeable now-ness. If I’m being honest, when I saw them live the bubble was pre-blown and surgically attached to her face and the noises were samples. I mean I have nothing against the ‘Brooklyn Sound’ but if it sounds too squelchy I tend to look elsewhere. That’s a shame. I think for acoustic sets it’s all done live but it’s a real shame if they’re cutting corners on the big concerts. I also saw their first ever gig too. They were very surprised when I asked them to sign the white label demos they hadn’t gotten around to recording yet. I merely said that it’s always best to get in early. You were right to do that. If the vinyl is signed and it’s so new that they haven’t actually cut it yet, that’s the most valuable combination. No as in you don’t have the vinyl, don’t agree with the vinyl, don’t agree that the signing of the vinyl is important? Your ambiguous “no” is causing major head trauma up here. You see you, right, you need to stop doing that and offer a little input here and there. You haven’t even commented on my comment about the comment about your sad sauce post. How’d you like them apples? Kev is a no from me. All I know is that your no’s, or nose, or even nohs, are not what I was looking for. I’m going to scour the web for band members that haven’t met yet and ask them to perform in my living room. I’m going to leave Barry Manilow vinyl outside your house. Then I’m going to cook a pot noodle, leave it so it’s cold and inedible and post it through your letterbox. How thoughtful. I hope you don’t catch some horrible disease in the process. You never do that for me. I sent you a Betty Boo cd but the bloody postal service, the actual service and not the band, couldn’t manage it. What more do you want from me? I’m trying to re-establish the balance by sending a Miley Cyrus cd to my brother to punish him for trying to sign me up for the Martine McCutcheon fan club.